The crushing defeat of the Congress in the Uttar Pradesh and Uttarakhand elections, coupled with the debacle in Goa and Manipur, where the party was outmanoeuvred by the BJP, finds striking exp­ression in the party headquarters at 24 Akbar Road. Well-dusted rooms of leaders are empty and there is almost pin-drop silence in the corridors, broken only by lower-rung employees talking in awe about Prime Minister Narendra Modi and the BJP’s stunning victory in UP. Surprisingly, there is no mention of Rahul Gandhi. A few leaders say the Congress’s “gen­etic character” has changed and, therefore, no “surgery” can help it turn the tide in the near future. All eyes are on ailing party chief Sonia Gandhi, who is likely to ret­urn soon from her medical sojourn abroad. 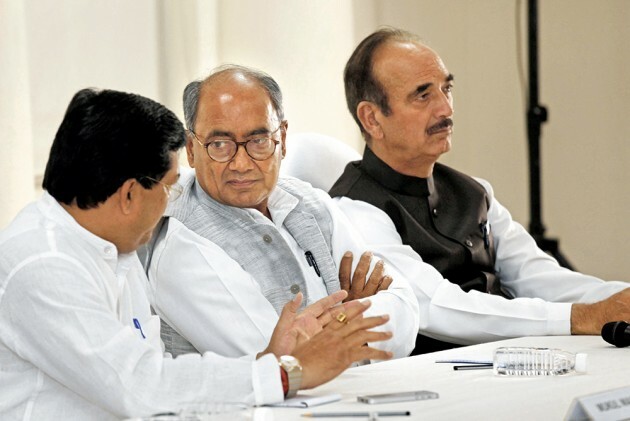 Post-poll developments in Goa leave little room to doubt it was Digvijaya’s mismanagement that did the Congress in. It came out of the polls as the single largest party, but left the field open for the BJP to woo MLAs from smaller parties and independents. The MLAs are apparently furious, and one of them, Vishwajit Rane, abs­tained from the floor test of the Manohar Parrikar government and resigned soon after. He was among a group of party legislators who met in Panaji on the night of March 14 and reportedly discussed their ang­uish over the political scenario. After his resignation, Rane told a news channel that he is disillusioned with the Congress and the style of functioning of those who were looking after Goa ­affairs. “They seemed to be on a holiday rather than interested in forming the government,” he said. “They are solely responsible for destroying the mandate that the people of Goa gave us.” Some other Congress MLAs in the state also want action against those responsible for the party’s failure to form the government. Post-poll developments in Goa leave little room to doubt it was Digvijaya’s mismanagement that did the Congress in. The MLAs are furious. Many feel PCC presidents are also equally to be blamed for the debacles in various states. “The PCC presidents are unable to instil confidence among workers and also seem to lack will power,” says a senior leader. In UP, the Congress had targeted the youth, non-Yadav OBCs, Jats, minorities and farmers, but to no avail. Insiders feel the party failed to connect with the voters and caste became the dominant factor. The Jats voted for the BJP since they saw the Congress as a party that has been partial towards Muslims and allied with the Samajwadi Party, which is also accused of propagating “minority politics”. The party could not keep up the tempo generated during Rahul Gandhi’s Kisan Yatra and also failed to connect with the OBCs, MBCs and SCs. In other words, the Congress failed to seize the ­narrative from the BJP. In Uttarakhand, the general secretary in-charge Ambika Soni and other senior leaders are “stunned” by the Congress defeat. They were hoping the internal turmoil in the BJP over giving tickets to Congress defectors would pull the BJP down, but the opposite happened. On the other hand, the long-standing fight between PCC president Kishore Upadhyaya and outgoing chief minister Harish Rawat took a toll on the Congress’s prospects. Looking back, insiders say action should have been taken last year against either Upadhyaya or Rawat. But the party had then refused to take action and the consequences are now on the table. “In politics, you have to be flexible,” says a senior leader, while pointing out that Congress ­rebels as well as voters showed more faith in the BJP, which did not even project any CM candidate in any of the states. In Punjab, Captain Amarinder Singh not only worked hard for what he had announced would be his last election, but also turned out to be quite lucky. The buzz is that the votes of BJP supporters in 20-odd seats went to the Congress as the RSS did not want the Shiromani Akali Dal or the Aam Aadmi Party to win. In the northeastern state of Manipur, outgoing CM Ibobi Singh and Congress general secretary CP Joshi are being blamed for failing to handle the situation tactically. Ashad Uddin, who won from Jiribam constituency as an independent, was expected to support the Congress, but when he reached Imphal airport with another Congress leader, he was reportedly whisked away to Guwahati.“At the behest of the BJP, independent candidate Ashad Uddin has been det­ained forcefully by the CISF and flown to an unknown location,” Joshi posted on a social media site. Had Singh and Ibobi worked in tandem and kept their personal likes and dislikes aside, they could have managed the numbers. Next Story : A Passing Rumour Heard On The Radio? The decline and fall of Mayawati is also the end of a Dalit dream. Does she have it in her to rebuild the movement and the party? BSP and AAP have accused BJP of rigging the EVMs. Do these accusations square up?